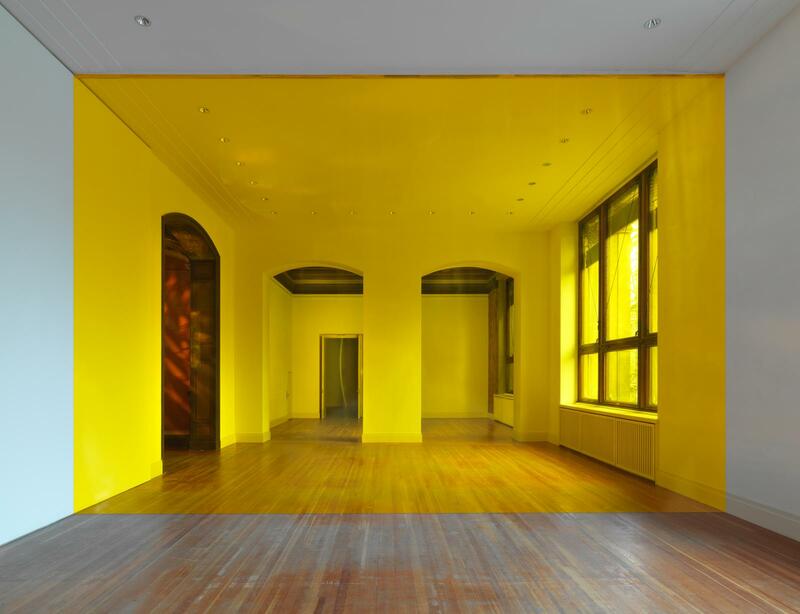 A transparent yellow plastic sheet divides a gallery space into two unequal parts. The sheet prevents visitors from crossing the room, which has two entrances. 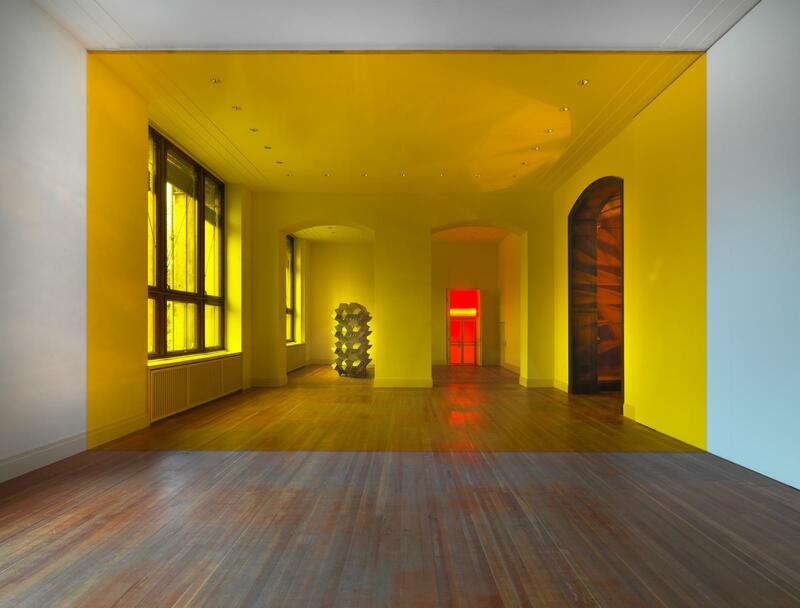 When standing on one side, looking through the sheet, the space on the other side appears saturated with yellow light.